As I was hiking through the bristlecone pine forests of the Sierra Nevada recently, I stumbled upon a tree barely six inches tall. It was growing—slowly, but surely. I was surprised to find this tiny pine tree was already about 40 years old. Some trees will stop growing once they reach that age. But others live much longer. In fact bristlecone pine trees aren’t just the oldest trees, they are some of the oldest living things on our planet. They can live for about 5,000 years. “These trees were growing when the Egyptians were building the pyramids,” said my friend Kevin Zobrist, a forester at Washington State University. Zobrist knows a lot about different trees and told me a bit about bristlecone pine trees. By the time the pines are about 5,000 years old, they will stand 60 feet tall with a trunk that is nearly five feet around. If we were to cut into the trunk, we could look at its growth rings. Each ring would signify a year of its life. We would have a lot of counting to do. On my hike, I noticed some of the trees’ young pinecones were purplish-pink. Eventually they would turn brown and fall to the ground. I spotted a few old cones by the tree. They had that fresh pine scent. I looked up at the branches that twisted and stretched like arms up to the sky. I wondered how on earth these trees were able to live such long lives. Zobrist explained that bristlecone pine trees are tough and have adapted to their environment. They are equipped to deal with drought, extreme climates, and insects that might cause serious damage if they attack. For example, the tree can actually shut down or go dormant for a while, if conditions are too harsh. This helps the tree survive for thousands of years. Of course, not all trees live quite as long as these pines. But many live longer than humans and us cats. The redwood trees of California are about six times taller than the bristlecone pines. Some of them have been around for nearly 2,000 years. Even when a tree dies, it finds a new life. Creatures and plants on the forest floor are counting on the trees to get old, die, and fall. They can use the fallen trees as their home or for food. It’s been said that trees are our planet’s lungs. They help make the oxygen we breathe and keep life thriving on our planet. I took a deep breath of the mountain air and said a quick thank you to the trees before heading down the trail, on to the next adventure. This entry was posted in Dr. Universe on December 31, 2016 by editor. 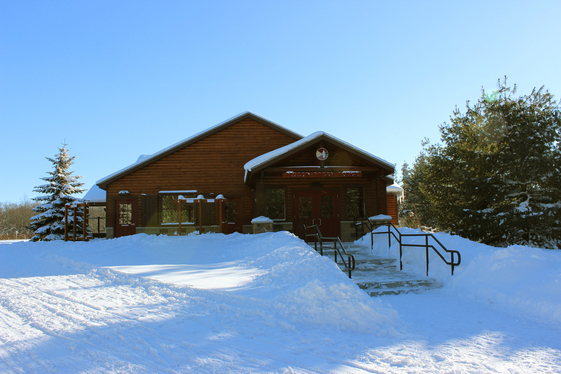 The facility offers ski and snowshoe rentals, refreshments, and warm hospitality by the fieldstone fireplace. There are no entry fees or trail fees, however those wishing to rent skis or snowshoes will pay between $5 and $8 for two hours of fun in the snow. Pigeon Creek County Park offers over ten miles of cross-country ski and snowshoe trails which meander through deep-rooted pine plantations, hardwood forests and peaceful wetlands along the Pigeon River. A large, lit sledding hill is also available at the park. “As Ottawa County residents, we have some of the best ski trails right in our backyard. Once the snow begins to fall, our trail groomers keep the classic and skate ski lanes in peak condition for as long as the weather will allow,” said Jessica VanGinhoven, Parks spokesperson. During satisfactory snow conditions, the park is open from 7 am until 10 pm, with trails lit after dusk. Because Mother Nature dictates the hours, it can be tricky. Skiers should keep the Pigeon Creek hotline handy to stay informed on the ski conditions and lodge hours: 616-738-9531, option one. Beginner: Learn about equipment and basic ski techniques. Those ten and older welcome. Every two children must be accompanied by an adult. Intermediate: For experienced adult skiers wishing to refine their technique and ski more efficiently. Ski Skating: For experienced adult skiers who want to learn several skate techniques. Skate skis are required and limited numbers are available to rent in the lodge. Pigeon Creek Park is located at 12524 Stanton Street in West Olive. From US-31, take Stanton and travel three miles east to the park entrance. From 120th Avenue, travel west on Stanton about a half mile. Learn more at miOttawa.org/parks. As a reminder to park visitors, dog walking and hiking are not allowed once the trails have been groomed. Snowboarding is not allowed on the sledding hill or anywhere at the park. This entry was posted in Ottawa County on December 30, 2016 by editor. GRAND RAPIDS MICHIGAN – Looking to Grow Professionally in 2017? One of the best investments you can make is by joining one of the four professional supply chain organizations. West Michigan is home to thriving chapters of APICS, CSCMP, and ISM; as well as the Supply Chain Management Council supported by The Right Place / MMTC-West. Learn about each organization in this casual, professional evening of networking. This event is open to all current members and fellow supply chain management colleagues who would benefit joining an organization. This FREE Event is brought to you by: APICS Grand Rapids, ISM Greater Grand Rapids Inc, CSCMP Western Michigan Roundtable, The Right Place/MMTC-West Supply Chain Management Council. This entry was posted in News Releases on December 28, 2016 by editor. a revised agreement to acquire 80 acres of property for North Ottawa Dunes in 2016. The land will be acquired by way of a property exchange between Spring Lake Township and David C. Bos of Spring Lake Development LLC, a negotiation spearheaded by the township. Ottawa County Parks will contribute $400,000 from the Parks millage for the 80-acre parcel, which has an estimated value of $1.3 million. We are especially grateful to the Spring Lake Township Board and John Nash, Spring Lake Township Supervisor, who have led the efforts to secure this land for North Ottawa Dunes. Currently, the parcel is privately owned. It is located on the eastern edge of the park and surrounded on three sides by park property. Because of the parcel’s geography and natural features, it has been considered a key segment for the park by both Ottawa County Parks and Spring Lake Township for a decade. 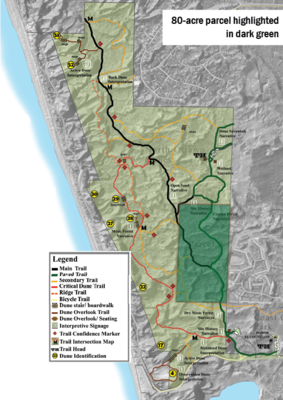 The additional land will increase the total acreage of North Ottawa Dunes to 593 acres and allow for expansion of the trail system. This entry was posted in Ottawa County on December 27, 2016 by editor. Over the last 12 years, millions around the world have heard the Gospel through My Hope, a ministry of the Billy Graham Evangelistic Association. My Hope has launched an all-new 30-minute program entitled “Decisions” which is accessible—free of charge—via DVD within the United States, or globally via internet streaming. “Decisions” features a Gospel message from Franklin Graham, president and CEO of the Billy Graham Evangelistic Association, and looks at the lives of people of different ages and backgrounds who have heard the Gospel through Graham’s 2016 Decision America Tour and made life-changing decisions to follow Christ. 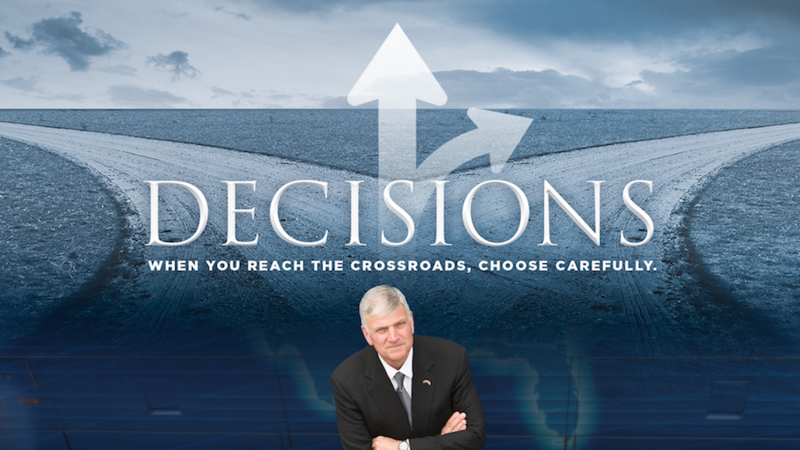 The DVD version of “Decisions” also includes “A Time for Decision: Pray, Vote, Engage,” a special 30-minute program that goes behind the scenes of Franklin Graham’s Decision America Tour. For more information on My Hope, including tips on how the available free resources can be used, visit www.MyHopewithBillyGraham.org. You can participate by ordering your free copy of “Decisions” and beginning to pray for your community. This entry was posted in Billy Graham on December 25, 2016 by editor. The answer to your question takes us out into our solar system and deep below the surfaces of other moons and planets. It also takes us to the tallest building here at Washington State University. That’s where I met up with my friend Katie Cooper, a geologist who studies Earth and objects beyond its atmosphere. We tend to think of the tallest feature on Earth as Mt. Everest. But it’s actually Mauna Kea, one of the five volcanoes that make up the Big Island of Hawaii. If you measure from its base on the seafloor to the peak, it’s actually taller than Mt. Everest. Olympus Mons and volcanoes here on Earth erupt molten rock, or lava. But there are also volcanoes in the solar system that erupt ice. As a scientist, Katie is sometimes a kind of ice detective. She’s helping the people at NASA study frozen water on one of the moons of Jupiter, a big gas planet. “Well you know, NASA is like the head of curious people, I would say and so they have sent tons of satellites out circling these planetary bodies,” Cooper said. In fact, we’ve found that Venus has more than a thousand volcanoes. Neptune and Jupiter’s moons eject water and other gases like geysers do. On one of Jupiter’s moons, large plumes of gas can eject so high that spacecraft can see them as they pass by. “We look for things that are tell-tale similar to what we see on Earth or might be incredibly different from what’s here on Earth, like ice volcanoes, which we don’t have necessarily here on the Earth,” Cooper adds. Some of the ice volcanoes are on moons of giant gas planets. But it looks like Pluto has a volcano that might be erupting ice, too. We still have lots more to explore when it comes to volcanoes on other planets. In the future, we will need scientists to help us understand more about the planets and our Earth. Cooper explained that when looking for volcanoes on other planets, it’s almost like you have to use your imagination – a very well informed imagination. So keep asking smart and baffling questions about our universe. Maybe one day you can even help us find some more answers about volcanoes on other planets. Ask Dr. Universe is a science-education project from Washington State University. Send in your own question at askDrUniverse.wsu.edu. This entry was posted in Dr. Universe on December 24, 2016 by editor. The Muskegon Community College Hendrik Meijer Library is commemorating the 150th anniversary of the birth of world famous English author Beatrix Potter, with a display of her books and a personal collection of 50 miniature Warne animal characters. An iconic author, illustrator, natural scientist, and conservationist, Potter is best known for her children’s books featuring animals, such as those in The Tale of Peter Rabbit. She was a trailblazer for women of her time. This informative exhibit can be viewed now through Sunday, January 22. For more information on the exhibit, contact Darlene DeHudy at (231)-777-0268 or (231) 777-0269 for library hours. Now through Christmas, you are invited to the Red Lotus Gallery/Muskegon Center for the Arts for their Ornament Extravaganza! Christmas ornaments have been created by local artists and will be available during the months of November and December. They make wonderful Christmas gifts. For more information, call 231-206-0426. The fourth annual Big Band Christmas Party with the Truth in Jazz Orchestra is happening at Watermark 920, December 20! Enjoy holiday and big band favorites along with food by Fatty Lumpkins and a cash bar. Led by Muskegon legend, drummer Tim Froncek, the Truth in Jazz Orchestra has been a Muskegon institution for the past 12 years. Doors open at 6:00pm. The cost is $5 for adults and $2 for students with ID. For more information, visit www.tijo.org. Tuesday, December 20 at 7:00pm, come to the beautiful Frauenthal Center for the Western Michigan Christian High School’s Christmas Collage! Tickets are only $10 for this lovely holiday show. For more information, call 231-722-9750. Wednesday, December 21 at 6:00pm, come to the Book Nook & Java Shop for Open Mic Night! Bring a song, poem or reading to share. For more information, call 231-894-5333. Thursday, December 22 at 7:00pm, come to the Book Nook & Java Shop for live music from the First Edition Jazz Band! 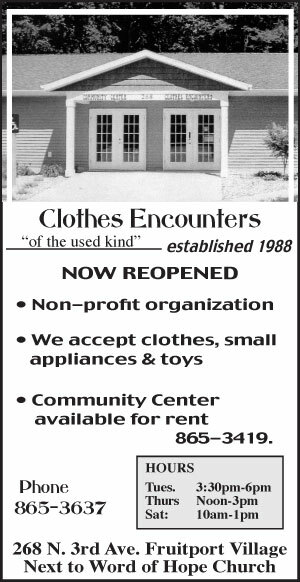 For more information, call 231-894-5333. Visitors will have an opportunity to tour the homes of Muskegon’s most well-known lumber barons decorated to celebrate the holiday season! Holiday tours of the Hackley & Hume Historic Site will happen December 26 from 4:00 – 8:00pm, and December 27 from 1:00 – 4:00pm. Tours begin in the Hackley house where a tree in the bay window of the Reception Hall greets visitors as they embark on their journey through the homes built in the late 1800s. The holidays are also being celebrated across the courtyard in the Hume family home. A tree decorated using a family photo as a guide is always popular with visitors. The tours are walk-through style with guides placed throughout the houses to answer questions. Christmas is over and the kids are off from school, so what are you going to do for fun? Bring them to the Frauenthal for “Family Movie Day!” December 27 from 1:00pm – 5:00pm, enjoy Toy Story (1:00pm) and the Sandlot (2:45pm) absolutely free! This event is sponsored by the generous donations of businesses and individuals: Airport Tour & Travel, Century Club Retail Center, Kay Ostrom, McDonald’s Candies, Lakeshore Employee Benefits, Mike & Kay Olthoff, Dr. Richard and Nancy Peters, Michael and Corina Soimar, Mart Dock, GVSU Annis Water Resources Institute and Drs. Gundersen and Zuker. For more information, call 231-727-8001. December 28 from 1:30 – 3:30pm, bring the kids to the Lakeshore Museum Center for their Winter Open House! They’ll have craft and science activities during this free open-house style program. For more information visit www.lakeshoremuseum.org. Thursday, December 29 at 7:15pm, come to the L.C. Walker Arena as the Muskegon Lumberjacks take on the Waterloo Black Hawks! The Muskegon Lumberjacks are proud members of the United States Hockey League, the nations only Tier I junior hockey league and the leading producer of NCAA players and National Hockey League draft picks in the United States. The Lumberjacks’organization prides itself on developing not just premier hockey talent, but also exceptional young men outside the arena of sports. For more information, visit www.muskegonlumberjacks.com. Friday, December 30 at 7:15pm, come to the L.C. Walker Arena as the Muskegon Lumberjacks take on the USNTDP U-17! The Muskegon Lumberjacks are proud members of the United States Hockey League, the nations only Tier I junior hockey league and the leading producer of NCAA players and National Hockey League draft picks in the United States. The Lumberjacks’organization prides itself on developing not just premier hockey talent, but also exceptional young men outside the arena of sports. For more information, visit www.muskegonlumberjacks.com. Mona Lake Productions presents the Rockin’ Oldies New Year’s Bash, an elegant and fun affair that will give you a chance to indulge in great food and drink and fantastic entertainment! Come to Verdoni’s Event Center for a two entree dinner from The Harris Group. There’ll also be hors d’oeuvres and a DJ to warm up the show, featuring 50’s and 60’s singer Quentin Flagg and The Whatabouts from Detroit. Mr. Flagg is a performer who’s taken his act all over the world and The Whatabouts concentrate on “girl group” songs of the 60’s! Get out the poodle skirt for this great evening of fun to usher in 2017! For more information, call 231-206-4873 or visit www.facebook.com/MonaLakeProductions. The Holiday Inn Muskegon Harbor is offering a wonderful New Year’s Eve Ballroom Package! There are a limited number of packages available, so make your reservation today by calling the front desk at 231-722-0100. December 31 at 6:00pm, come to SE4SONS Banquet Center for the best New Year’s Eve Party in Muskegon featuring the Dueling Pianos! Tickets are $60 and include party favors, hors d’ oeuvres, a station-style dinner, a late night snack, a 3 hour Dueling Pianos Show and champagne toast at midnight! To purchase your tickets, please call 231-755-3737 or buy them in person at SE4SONS. All ticket sales are final. The Shoreline Inn & Conference Center is offering a New Year’s Eve all inclusive package for two that includes overnight accommodation, champagne upon arrival, a dinner buffet, open bar from 9:00pm – 1:00am, live entertainment by the band Pop Fiction , a midnight toast/snacks, a midnight balloon drop, a breakfast buffet New Year’s Day and late check out of 1:00pm. Make your reservations by calling 231-727-8483. This New Year’s Eve, come out to Bella Maria’s for the “Do You Remember the 70’s? New Year’s Eve Bash!” Enjoy an unlimited appetizer buffet from 6:00pm-7:00pm, a tremendous entree buffet starting at 7:00pm, a dessert buffet unlike any you’ve seen before and late night appetizers after midnight. Don’t worry, you’ll work it all off doing the “Hustle” to a light and sound show by Orpheus Light & Sound Experience. Don’t remember how? That’s O.K., there’ll be dancers and instructors from Arthur Murray Dance Studio on hand to show you all the moves! Tickets are $60 per person and are limited to 200. Call 231-563-6914 for reservations. Touted as the oldest outdoor running event in the Midwest, visit the West Michigan Lakeshore for 5K and traditional 6-mile races. Families are encouraged to participate. All proceeds support North Muskegon High School Athletics. Chip timed and medals for top age-group categories. For more information, call 231-288-6011. This entry was posted in Calendar of Events on December 23, 2016 by editor. 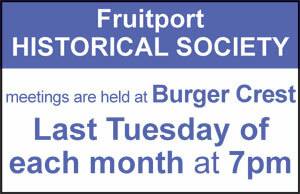 Thank You to Fruitport Volunteers! This entry was posted in Fruitport Library on December 21, 2016 by editor. 2017 Training Sessions Now Open! The Muskegon STAR! Program provides individuals the tools to excel at customer interaction and enhance the overall experience for tourists, guests, friends and fellow employees. BE THE REASON someone moves to, invests in, or visits the Muskegon Lakeshore. WE’LL BRING THE TRAINING TO YOU! With the popularity of the Muskegon STAR! Program growing, many companies are opting to have the training in-house. 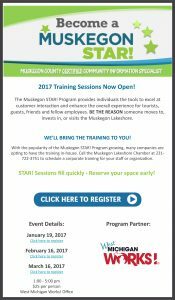 Call the Muskegon Lakeshore Chamber at 231-722-3751 to schedule a corporate training for your staff or organization. STAR! Sessions fill quickly – Reserve your space early! 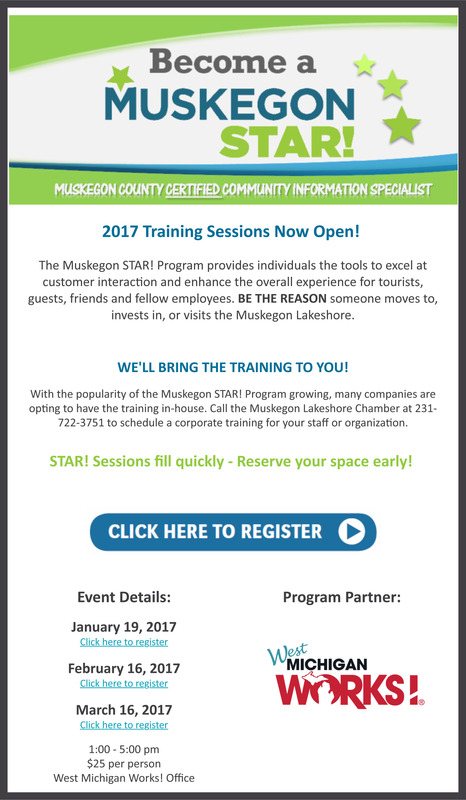 This entry was posted in Muskegon Lakeshore Chamber of Commerce on December 21, 2016 by editor. Our program schedule does not slow down in the winter months! This season we are offering winter walks and snowshoe hikes, cross-country and skate ski lessons, Wildlife Encounters, Coffee with the Birds, art and astronomy classes, birding field trips and more! See the full program calendar by clicking here. As always, we are committed to keeping our programs free or affordable. You’ll find programs for children, adults, and families. This free event is geared for children of all ages, accompanied by an adult. More details will follow. Registration is not required but is encouraged in case the event is moved to the alternate date. This event is generously hosted by the Friends of Ottawa County Parks. Friends invites you to join the all volunteer organization! Through a multitude of activities and outreach events, they promote and assist the Parks. Join in their endeavor, enjoy the fellowship, and make new friends while helping support the Parks. 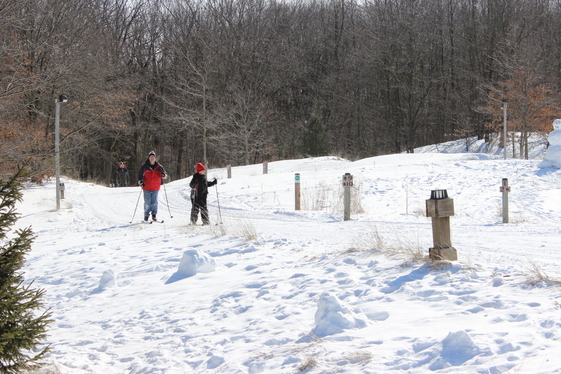 Pigeon Creek County Park offers groomed, lit cross-country ski trails, ski and snowshoe rentals, ski lessons, and sledding. The lodge opens for the season once a good base of snow has fallen. Visitors can rent skis and snowshoes as well as warm up with hot chocolate, hot dogs, or chili by the fire. Hours rely on the weather, so keep the hotline number handy. Visit our website for more information: miOttawa.org/Parks. Please remember that once snow falls, hiking, dog walking, and horseback riding are not allowed in the park. Hemlock Crossing County Park offers snowshoe rentals for adults and children (4+) at the Nature Education Center. Guided walks are available throughout the winter; take a look at our program calendar for dates. Visitors are invited to warm up in front of a fire in the Great Room after their snowy outing! Pigeon Creek and Hemlock Crossing are excellent winter destinations, especially if you need equipment, but there are many other beautiful places to enjoy and explore. Below are some of our favorites. Infrequently, we pack and roll trails at parks other than Pigeon Creek. Keep an eye on Facebook for these announcements. >> In the Grand Haven area, North Ottawa Dunes has many miles of trail frequented by cross-country skiers. 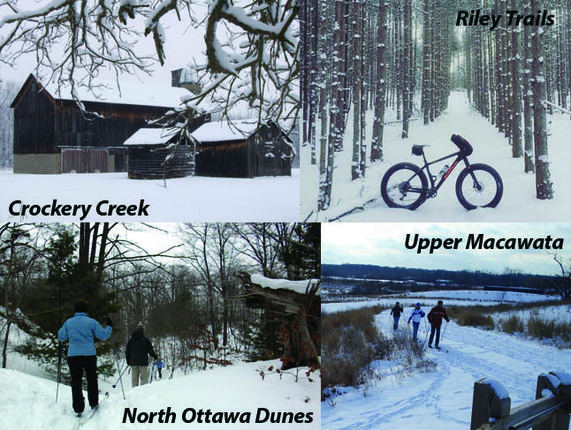 >> Upper Macatawa Natural Area in Zeeland is a great place for a ski or snowshoe outing, or a winter hike! This entry was posted in Ottawa County on December 20, 2016 by editor. For those who have a loved one with Alzheimer’s or dementia, the thought of holiday get-togethers with family and friends may leave you feeling exhausted, anxious, or just plain overwhelmed. And while it can be a challenging time of year, with some planning and adjusted expectations, your celebrations can still be happy, memorable occasions. According to data just released in the 2015 Behavioral Risk Factor Surveillance System, in Michigan, one in eight of those aged 45 and over report they are experiencing confusion or memory loss that is happening more often or is getting worse. For those with worsening memory problems, 45.5 percent say it created functional difficulties, such as causing them to give up day-to-day, work or social activities. With Alzheimer’s disease becoming more common, it is more likely that someone with Alzheimer’s disease will be in attendance at your holiday gathering and it is important to be prepared. 1. Let guests know what to expect before they arrive. Sending a letter or email in advance, letting people know about what to expect and how they can help will ease some of the burden when guests arrive. In the early stages of Alzheimer’s, family can help with communication by being patient, not interrupting or correcting, and giving the person time to finish his or her thoughts. In the middle or late stages, make sure visitors understand that changes in behavior and memory are caused by the disease and not the person. For ideas on how to let others know about changes in your loved one, join ALZConnected, our online support community, where caregivers share tips on what has worked for them. 2. Pare down your responsibilities. The stress of caregiving layered with holiday traditions can take a toll. Give yourself permission to do only what you can reasonably manage. If you’ve always invited 15 to 20 people to your home, consider paring it down to a few guests for a simple meal. Let others contribute. Have a potluck dinner or ask them to host at their home. You also may want to consider breaking large gatherings up into smaller visits of two or three people at a time to keep the person with Alzheimer’s and yourself from getting overtired. Make sure everyone understands your situation and has realistic expectations about what you can do. 3. Avoid triggers. If evening confusion and agitation are a problem, consider changing a holiday dinner into a holiday lunch. If you do keep the celebration at night, keep the room well-lit. Make sure that you’re careful with decoration choices — blinking lights may confuse or scare a person with dementia, and decorations that look like food could be mistaken as edible. Sticking to the person’s normal routine will also help keep the holidays from becoming disruptive or confusing. Plan time for breaks and rest. 4. Keep the person involved. Focus on activities that are meaningful to the person with dementia. They may find comfort in singing old holiday songs or looking through old photo albums. As the person’s abilities allow, invite them to help you prepare food, wrap packages, help decorate or set the table. This could be as simple as having the person measure an ingredient or hand decorations to you as you put them up. 5. Look for helpful gifts. Diminishing capacity may make some gifts unusable or even dangerous to a person with dementia. If someone asks for gift ideas, suggest items the person with dementia needs or can easily enjoy. Ideas include: an identification bracelet, comfortable clothing, their favorite music, videos and photo albums. 6. Bring the celebration to a care facility. A holiday is still a holiday whether it is celebrated at home or at a care facility. If your loved one isn’t able to celebrate at home, consider joining your loved one in any facility-planned holiday activities. Bring a favorite holiday food to share. Sing holiday songs and ask if other residents can join in, or read a favorite holiday story or poem out loud. To learn more ways to make the holidays peaceful and joyous with a loved one with dementia, visit www.alz.org, or call our 24/7 helpline at 800.272.3900. The Alzheimer’s Association is the world’s leading voluntary health organization in Alzheimer’s research, care and support. Our mission is to eliminate Alzheimer’s disease through advancement of research, to provide and enhance care and support for all affected, and to reduce the risk of dementia through the promotion of brain health. This entry was posted in Health on December 19, 2016 by editor. The Presidential Election is finally over! However, the demonstrations that are occurring shows how poorly a job our school systems and our news media is doing. Acceptance, after the people have spoken, has always been the norm, and should still be the norm. Another norm, is respect for other people, their rights, and their property. All that is violated when crowds take over streets and highways and start destroying government or personal property. That is criminal conduct punishable by law. Some demonstrators, and news media people, claim they are afraid of Trump. But if they supported his opponent, they should instead fear God. She stood for some things God calls abomination. You see, His Laws are just, but the penalty for disobeying Him, will be eternal damnation. First in Hell and later in the Lake of Fire forever. The Word of God, rightfully claims, that all of us have sinned. That we are condemned already. But because of His great love for us he sent Jesus Christ, his only begotten son, to die for us on the cross. His precious blood is enough to cover all the sins of the world. Unfortunately, too many in America, and too many in the world, refuse to believe in God and The Word of God (Jesus). Jesus said few will go to Heaven. Seek God, believe and repent. Why reject God! President Trump’s first official act should be to order all flags be flown at half-mast until this country stops the ungodly killing of the innocent unborn. This entry was posted in Manuel Ybarra, Jr. on December 18, 2016 by editor. As the storm cleared, the ministry was ready to respond as soon as the roads opened and assessments revealed the worst-hit areas. Ultimately, the Billy Graham Rapid Response Team – along with disaster relief ministry Samaritan’s Purse – deployed to three areas; two in South Carolina (the Low Country region and Horry County) and one in eastern North Carolina(Edgecombe County). The Billy Graham Rapid Response Team also continues to minister in Louisiana in the wake of severe flooding that struck that state in August. For more information about the Billy Graham Rapid Response Team, including current deployments and how to get involved, visit www.billygraham.org/rrt. This entry was posted in Billy Graham on December 18, 2016 by editor. All around the world, animals are eating all kinds of different foods. Our foods might be different, but one thing is true for all of us: We have to digest. I decided to visit my friend Bob Ritter to find out how this works. He’s a researcher here at Washington State University who is really curious about the connections between our brain and stomach. The molecules that make up a piece of meat or a vegetable on your plate are too big for your body to use, at least at first. The body breaks down the food using a nearly 30-foot-long digestive tract that runs from your head to your rear end. And while we may all digest, different animals have different kinds of tracts. Ritter explained that a python could go for about six months without food. When it comes time to eat a meal, usually in a single gulp, the python’s digestive system will suddenly grow bigger. Unlike pythons, humans need to eat much more often. The human digestive system can help you digest a meal in just a few hours or less. Muscles in your stomach squeeze and occasionally grumble to tell your brain that you’re hungry. When you smell or even see food, your mouth starts to water. Even the sound of food going into my bowl makes my mouth water. This saliva helps us soften and break down food so we can swallow it. The muscles in the esophagus, a long tube in your throat, help push food down into your stomach. There, your stomach acids and enzymes help you break down the food. Most of the food is now about the size of a grain of salt. These little pieces move onto the small intestine, which is pretty big, despite it’s name. It’s here where the big chemicals in food are broken down to small ones that the body can absorb into your blood, like sugars, amino acids, and fatty acids. There is a lot of surface area that makes it possible for your body to absorb these helpful nutrients, too. If you unfolded your small intestine on a flat surface, it would likely cover a tennis court, Ritter said. Once the nutrients are absorbed, the large intestine absorbs water from the digested mix and helps give it back to your body. Some harder parts are left behind and get ready to leave the body. Pretty soon, nature calls. Whether you are a cat, a python, or a human, the digestive system not only fuels your body, but also protects it. Humans even have a special lining in their stomach that gets replaced every few days to protect them from invaders like toxins or bacteria. It’s something to chew on the next time you sit down for dinner. Ask Dr. Universe is a science-education project from Washington State University. Send your own question to Dr. Universe at AskDrUniverse.wsu.edu. This entry was posted in Dr. Universe on December 17, 2016 by editor. Ann Arbor, MI – The Rotary Club of Ann Arbor in conjunction with other Rotary clubs in the Midwest and Rotary International will convene the World Peace Conference 2017 on March 31 and April 1 at the University of Michigan’s Michigan League. The conference will empower its participants to actively practice peace and reduce violence locally, nationally and globally. Jody Williams, the 1997 Nobel Peace Prize laureate, and two dozen other respected experts on peace and conflict resolution will explore ways people can contribute to building a peaceful world. The conference is open to the public. • Youth in peace and conflict resolution. Rotary International President John Germ will keynote the conference. In 1921, Rotary adopted as one of its objectives the advancement of international understanding, good will and peace. Today, the Rotarian Action Group for Peace supports the peace work of Rotarians worldwide. The Peace Conference 2017 is part of this effort. Jody Williams won the Nobel Peace Prize in 1997 for her successful work toward the banning and clearing of anti-personnel landmines, which inspired an international treaty to ban the mines. Williams subsequently took the lead in establishing the Nobel Women’s Initiative, which brings together six of the female peace laureates alive today to promote the efforts of women working to promote peace with justice and equality. Other speakers include Jeffrey Sachs, UN advisor and Columbia University professor, economist and author; Carrie Hessler-Radelet, Peace Corps director; and Owen Greene, a professor at the University of Bradford in West Yorkshire, England, and a widely published expert on conflict resolution. Greene has served as a consultant to the United Nations, European Union and the United Kingdom. For more information or to reserve tickets, go to 2017peaceconference.org. This entry was posted in News Releases on December 16, 2016 by editor. The city of Muskegon Heights is welcoming everyone to a Holiday Tree Lighting ceremony 6:30pm, Monday, December 12 outside City Hall. The Muskegon Heights Alumni Band will play and a choir will lead Christmas Carols. A community bonfire with smores and cocoa will be offered along with a holiday address from Mayor Kimberley Sims. The Christmas tree was donated by Marty Hulka of Marty’s Christmas trees in Fruitport Township. The event is free and open to the public. For more information, call 231-733-8999. December 13 from 12:15pm – 12:45pm, everyone is invited to St. Paul’s Episcopal Church in Downtown Muskegon for a Feeding the Soul of the City lunchtime concert. Caron Farmer, a member of the American Guild of Organists and current organist at St. Paul’s Episcopal Church, will perform this year’s traditional program of solo organ music devoted to the Christmas season. 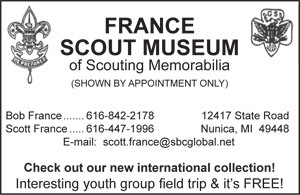 For more information, call (231) 722-2112. The West Michigan Junior Strings will present their Winter Recital on Tuesday, December 13, at 7:00pm at United Methodist Church of Montague. String students of all ages, from Muskegon to Mason County, will come together to share their progress and love for music with family, friends, and the community. Since 2009, the West Michigan Junior Strings, a program of the Arts Council of White Lake, has offered violin and cello instruction to students ages 3 to 18, using a creative blend of the Suzuki Method and traditional string pedagogy. It has grown into a program serving students in over three counties with highly-skilled and committed faculty who are dedicated to fostering Suzuki’s vision that “every child can.” Dr. Suzuki’s philosophy embraces the idea that all children are born with musical ability which can be nurtured at an early age through their environment, listening, imitation, and by working closely with a parent at home. The public is invited to come and support wonderful developing talent in young people and stay for the reception that follows the concert. For more information, visit www.artswhitelake.org. Tuesday, December 13 at 7:00pm, come to the Book Nook & Java Shop for their Holiday Party featuring the Choral Belles Singalong. Enjoy Christmas treats, martinis and more! For more information, call 231-894-5333. The Norton Shores Library presents the 3rd Annual Ugly Sweater Contest , Wednesday, December 14 from 9:00am – 8:00pm! In a fun-spirited holiday tradition, voting for the ugliest Christmas sweater worn by a Norton Shores Library staff member could win you a $25 Meijer gift card! Stop by anytime all day long and choose your favorite. Voting is open to ages 12 and up. Wearing your own holiday sweater, ugly or not, could get your picture on the Library’s Facebook page! For additional information, contact Alison Purgiel, branch manager, at 231-780-8844 or apurgiel@madl.org . Friday, December 16 at 7:30pm, come to the Frauenthal Theater as the West Michigan Symphony Presents “Classical Christmas!” Enjoy the majesty of Christmas with Scott Speck and special guest, soprano Martha Guth. This spectacular soprano joins the symphony and the Muskegon and Grand Rapids Chamber Choirs for an evening of classical holiday works, inspiring the true meaning of Christmas. Single ticket prices are $23-$54. Student tickets are $10. Call Rita at 231-726-3231 x223 for tickets and more information. The city of Muskegon Heights will host the annual Clifton Johnson Children’s Christmas, 9:00am – Noon, Saturday, December 17 in City Hall Council Chambers. Candy, gifts and snacks will be offered to children up to age 16. Santa will be on hand, possibly with Muskegon Heights firefighters and police officers to talk to the children. The Clifton Johnson Memorial Christmas Party is named for former Muskegon Heights Police Chief Clifton D. Johnson Sr., who passed away unexpectedly at age 47 in 2009. For more information, call 231-733-8999. Saturday, December 17 at 2:00pm, Santa Claus will be stopping by Hackley Public Library to see who’s been naughty and who’s been nice! Drop off your wish list and snap a picture with the big man (please bring your camera). You can also create a “make and take” ornament to hang on your own tree. The library will supply the materials. For more information, call 231-722-8014. Saturday, December 17 at 7:15pm, come to the L.C. Walker Arena as the Muskegon Lumberjacks take on the Chicago Steel! The Muskegon Lumberjacks are proud members of the United States Hockey League, the nations only Tier I junior hockey league and the leading producer of NCAA players and National Hockey League draft picks in the United States. The Lumberjacks’organization prides itself on developing not just premier hockey talent, but also exceptional young men outside the arena of sports. For more information, visit www.muskegonlumberjacks.com. Saturday, December 17 at 7:30pm, Soprano Martha Guth brings consummate musicianship, intelligence and a distinctive tonal palette to a wide range of musical styles. Guth presents a follow up to the Friday night holiday concert with the West Michigan Symphony with an evening of classical song at The Block. Call Rita at 231-726-3231 x223 for tickets and more information. Doors and bar open at 6:45pm, concert begins at 7:30pm. Saturday, December 17 at 7:30pm, the Howmet Playhouse is pleased to welcome Joshua Davis for an evening of American roots music. Joshua writes songs that blend the roots of American music with gritty rock n’ roll and vintage soul. Performing Songwriter Magazine called the result, “Some of the liveliest and most rocking roots music around.” There will be a VIP meet and greet one hour before showtime that includes an acoustic song performed by Joshua, Q&A time, a photo op, and signing. These packages are limited and are a separate fee from ticket prices. Beer and wine will be available for purchase courtesy of the Friends of the Playhouse. VIP Packages (includes show ticket price) $65/adults $60/students. Ticket prices will rise at the door. Saturday, December 17, come to the Back Alley Comedy Club inside Sherman Bowling Center for fantastic stand-up comedy from Ben Wilke and special guest, Carl Johnson. Tickets are only $5! Doors open at 7:00pm and the show begins at 8:00pm. For more information, call 231-755-1258. Bring the whole family for a delicious brunch with Santa at SE4SONS! Kick off the holidays with fun for the whole family including great food, kids holiday crafts and Santa! Reservations will fill up fast, so reserve your spot from 11:00am to 2:00pm on Sunday, December 18 by calling 231-755-3737. The cost is $27 for adults and $12 for kids 5-12. Kids 4 and under eat free! Sunday, December 18 at 2:00pm, come to the Frauenthal Center for the West Michigan Youth Ballet’s production of “The Nutcracker!” The Nutcracker comes to life in this wonderful ballet for the entire family! Want to meet Clara and the Prince? Add the Family Activities to your experience for just $6.00 (Show not included). This also includes early entry, pizza slice, drink and popcorn. Tickets for the show are $11 & $21. For more information, call 231-727-8001. Sunday, December 18 from 2:00-5:00pm, everyone is welcome to the annual celebration of three local artists at Terrestrial Forming Pottery Studio. Pottery, jewelry, ornaments, cards, and more by Peter “the Potter” Johnson, Cara O’Brien, and Missy Morrow will be featured. Refreshments will be served. 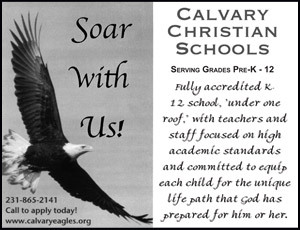 For more information, call 231-894-2341. Sunday, December 18 from 5:00-5:30pm, everyone is invited to St. Paul’s Episcopal Church in Downtown Muskegon for the Feeding the Soul of the City concert featuring the Grand Rapids Choir of Men & Boys. The traditional “Festival of Lessons and Carols” will return to St. Paul’s to highlight the holiday season with carols and readings of the Christmas story from both Old and New Testaments. For more information, call (231) 722-2112. This entry was posted in Calendar of Events on December 14, 2016 by editor. According to recently compiled data from the Muskegon Lakeshore Chamber of Commerce and the Muskegon County Convention & Visitors Bureau, it is estimated that over the past four years the Lakeshore Art Festival has left a $1.5 million economic impact on the greater Muskegon area. In addition to this economic impact, the festival has made great strides in the event’s quality along with the quantity of recycling. In conjunction with the DTE Energy Foundation, the festival’s “Keepin’ It Green” program is working towards producing a zero waste event. Beyond general paper and plastic recycling, Lakeshore Art Festival encourages all food vendors to use biodegradable serving products and compost all of their organic waste. In 2017, the Lakeshore Art Festival is working towards enhancing the quality of the event and has recently opened registration for its fine art, craft and Children’s Lane. The event will take place July 7 and 8 in downtown Muskegon, Michigan. Registration for fine art and craft exhibitors will be processed through the web-based Zapplications. A link to the online application can be accessed through www.lakeshoreartfestival.org. The application deadline is February 1, 2017. There is a $35 registration fee for fine art and craft exhibitors and all entries are juried. Discounts are available for Muskegon Lakeshore Chamber of Commerce and Muskegon Museum of Art members. More event details will be released in 2017 including registration for food vendors and volunteers. Look for more information as it becomes available on the Lakeshore Art Festival website: www.lakeshoreartfestival.org and Facebook page: www.facebook.com/LakeshoreArtFestival. 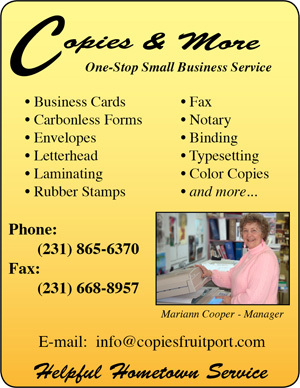 For exhibitor and sponsorship inquires, please contact Carla Flanders at cflanders@muskegon.org or 231-724-3176. This entry was posted in News Releases on December 14, 2016 by editor. 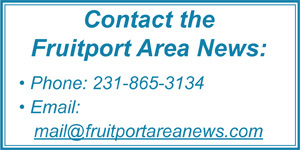 This entry was posted in Fruitport Township on December 12, 2016 by editor. The business community gathered to celebrate eight community leaders and initiatives that were recognized as the 2016 Agents of Change. Those recognized range from business reinventions to unique festivals and events, education initiatives and art installations. Each year, the Muskegon Lakeshore Chamber of Commerce recognizes individuals or projects that have made a positive contribution to the Muskegon Lakeshore and awards them as Agents of Change. 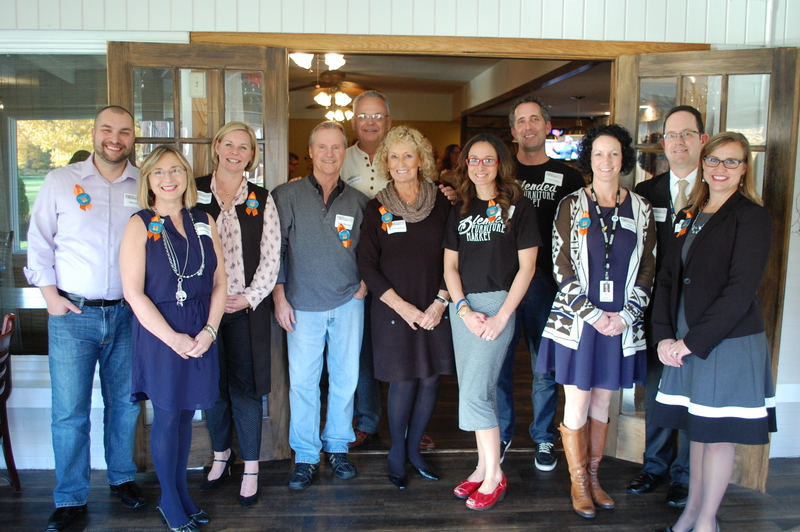 This year’s Agents of Change were recognized at the Ninth Annual Agents of Change Business After Hours celebration on November 3, 2016 at Bella Maria’s Ristorante & Event Center. This event was produced by the Muskegon Lakeshore Chamber of Commerce, in partnership with WGVU Public Media. Thanks to Hoby Thrasher, the historic Bear Lake Tavern has been reinvented for the next generation. This building and business turnaround is an outstanding example of how an entrepreneur can preserve local history while modernizing and rebranding a locally-owned business. Turning a closed drug store into a destination furniture retail center takes vision, creativity and a lot of hard work. Jason and RandiLynn Talsma moved their business from Holland to Norton Shores creating a furniture store that caters to area residents with style and taste. The Lakeshore Brewer’s Guild turned their one-of-a-kind festival at Pere Marquette Beach into a Midwest craft beer celebration! Allen Serio’s brainchild is an event showcasing our community’s greatest asset, the beach, and shines a light on local craft beer businesses. Ellen’s “First Fridays” concept is bringing thousands of people to Downtown Muskegon on the first Friday of every month. This family-friendly event series has included street performers, a “Touch the Trucks,” parade, bonfires and more. First Fridays energizes Western Avenue with vibrancy and fun for new and returning visitors. The Muskegon Area Promise came to fruition under the fresh direction and determination of John Severson and Megan Byard-Karaba. This program offers graduating high school students access to two-year college degrees, tuition free in Muskegon County. John and Megan worked closely with a volunteer board and state officials to capture final approval on this critical education program. Educator Toni Seyferth brought the popular Muskegon STAR! Program to our community’s youth. Toni created the first Muskegon STAR! Student Program at North Muskegon High School. This first STAR! Student class equipped teenage participants with soft-skills, facts and information needed to effectively promote the area’s assets. This class is now being modeled in other school districts across Muskegon County. Muskegon’s first ever “Port Day” was the vision and coordination of Erin Kuhn. Business and community leaders from across the state, and beyond, came to the shores of Muskegon Lake to learn about and celebrate the Port of Muskegon. The event highlighted the capabilities of the deep-water port in an effort to attract and expand business. Hopefully, many of you were able to see Erin earlier this evening before she needed to leave early for a previous commitment. A passion for Muskegon Lake and creative vision lead John and Barb Hermanson to raise over $144,000 for the art installation Sails Ablaze. The sculpture, by artist Steven Anderson, honors the story of the Lyman Davis, the fastest and last commercial sailing ship on the Great Lakes whose journey tragically ended in an intentional fire. The drama of this time period will be remembered by all thanks to John and Barb. 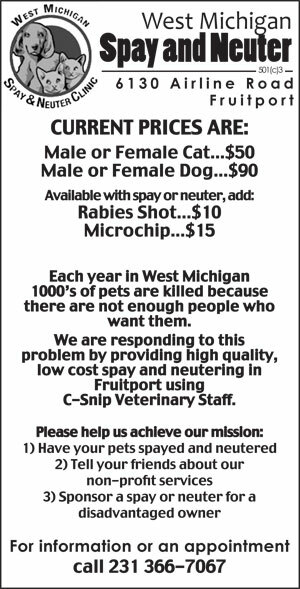 This entry was posted in Muskegon Lakeshore Chamber of Commerce on December 12, 2016 by editor. A total of 236,950 joined Franklin Graham at the 2016 Decision America Tour. Add to that more than 150,000 live views online collectively and over 287,000 from his Facebook Live feed during his last stop in North Carolina. For more information on the Billy Graham Evangelistic Association, visit www.billygraham.org. This entry was posted in Billy Graham on December 11, 2016 by editor. Curiosity can lead us cats to some pretty great heights. We like to climb trees and sneak along tall bookshelves. Sometimes we might have a bumpy landing, but more often our amazing cat reflexes help us land on our feet. Like my fellow felines, I’ve been using my reflexes to fall on my feet ever since I was about three weeks old. But even I wasn’t sure exactly how this worked or why it doesn’t work all the time. I decided to visit my friend Matt McCluskey, a physicist at Washington State University, to find out more about it. At first I thought the answer to your question might have to do with our tail. I suspected that as cats fall through the air, the tail helps us find balance. But it turns out cats without tails can land on their feet, too. There’s a little more to it. Looking at the pictures of falling cats, he found that we first use our sharp ears and eyes to help us figure out which way is up. Our head, the lighter end of our body, twists one way. Then the heavier end of our body, the rear, follows. We use this movement to try to maneuver our bodies back to normal and brace for landing. Scientists call it the air-righting reflex. It’s what helps us go from free falling to feet on the floor, often in less than a second. Our flexible spine and lack of a collarbone also make it possible for us to arch our backs in mid-air. We can arch our backs when we feel threatened, when we stretch, or to help us land after our body twists. Our arched backs help stabilize our bodies, preventing them from rotating, just before landing. McCluskey explained that even though our tails aren’t fully responsible for helping us land on our feet, they do help us be more stable upon landing. There are actually so many cases of cats falling out of windows that veterinarians have a name for it: high-rise syndrome. Some researchers have found that cats who fall from greater heights have a better chance of landing on their feet than cats who fall shorter distances. It might be because they don’t have enough time to go through all the different movements that help them stick the landing. Sometimes we stumble. Sometimes we land in style. It’s all feline physics. Ask Dr. Universe is a science education project from Washington State University. Send your own question in at askDrUniverse.wsu.edu. This entry was posted in Dr. Universe on December 10, 2016 by editor. Pamela Vanderlaan-Poort, Muskegon Area First PTAC Director, named to President of PTACs of MI, Inc.
Muskegon, MI. – Muskegon Area First Procurement Technical Assistance Center (PTAC) Director Pamela Vanderlaan-Poort was recently elected as PTAC of MI, Inc. President. PTAC of MI, Inc. is a non-profit organization, consisting of ten (10) regional Procurement Technical Assistance Centers (PTACs) across all of Michigan’s 83 counties, assisting businesses in selling their products and/or services to government markets. Its members are comprised of procurement professionals with varied degrees in government contracting, and members of a national organization, Association of Procurement Technical Assistance Centers (APTAC). Vanderlaan-Poort has over 27 years of service with the PTAC, has received her Master’s Certificate in Government Contracting from The George Washington University School of Business, received the Defense Logistics Agency 20-Year Service Award from the Director ‘s Office of Small Business Programs, and has been a member of APTAC and the PTACs of MI, Inc. since 1989. PTAC is a program under the Defense Logistics Agency’s (DLA’s) Procurement Technical Assistance Program (PTAP), in existence since 1985, designed to assist businesses with selling to Department of Defense, other federal, state and local government markets. The PTAC program was established to increase competition among the federal government suppliers, and is supported by the State of Michigan MEDC since the inception of the program. 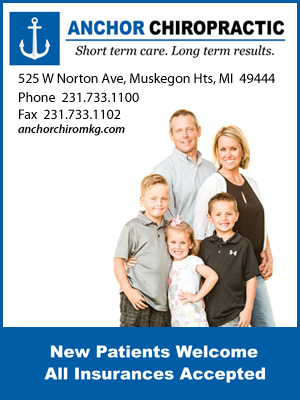 Muskegon Area First PTAC is located at 380 West Western Avenue, Suite #202, in downtown Muskegon, and assists businesses in a 13-county regional area, to include the counties of Allegan, Barry, Ionia, Kent, Lake, Mason, Mecosta, Montcalm, Muskegon, Newaygo, Oceana, Osceola, and Ottawa. This entry was posted in News Releases on December 8, 2016 by editor. Tuesday, December 6 at 7:00pm, you’re invited to the Book Nook & Java Shop for the “White Lake Classical Series” featuring Swedish Violinist Gregory Maytan performing the music of Bach, Beethoven, & Röntgen! Maytan has performed virtually all the major violin concertos with orchestra, and regularly performs in recitals and concerts in Europe and the US. The cover at the door is $5. Come early for dinner at 6:15pm and enjoy Roasted Cranberry-Apple-Stuffed Pork Loin with Apple Syrup, Rice Pilaf, Roasted Veggies, Glass of House Wine and Caramel Pear Crisp for $17. Please RSVP to The Book Nook & Java Shop by calling (231) 894-5333. Thursday, December 8 from 3:00-6:00pm, visit the Museum Store in the Lakeshore Museum Center for an opportunity to see and purchase some unique, one-of-a-kind pieces of art, fused glass, and dichroic jewelry from glass artist Jilly Barnes! Jilly, the owner of Jilly’s Gallery in Pentwater, will donate a portion of her sales that day to the Museum and shoppers may enter a drawing to win a special gift basket. In addition, shoppers will enjoy a 15% discount on store merchandise excluding books, consignment, and sale items. For more information, call 231-722-0278. The Muskegon Museum of Art will present Expressions of Faith: Religious Works from the Permanent Collection with Rare Manuscripts from the Van Kampen Collection as its main winter exhibition. Expressions of Faith features faith-based artwork from the Museum’s collection, hand-copied Bibles and rare manuscripts from the Van Kampen collection. Christianity, Islam, Judaism, Hinduism, and African and Japanese spiritual traditions are illustrated in artifacts and artwork. The public is invited to an opening reception and lecture by Calvin College Professor of Art and Art History Henry Luttikhuizen on on Thursday, December 8. The reception will start at 5:30pm and the lecture will start at 7:00pm. The event is free. The exhibition will run through February 12, 2017. Go to www.eventbrite.com and search on Muskegon Farmers Market and all currently scheduled classes will pop up. 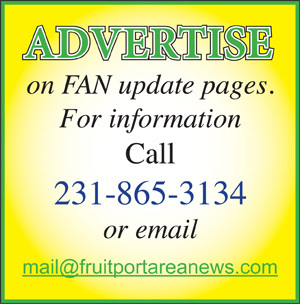 Also subscribe to our Kitchen 242 Facebook Events Page to receive notification when new culinary events are added. The Norton Shores Library hosts the West Michigan Symphony Children’s Choir, Thursday, December 8 at 7:00pm in the library’s conference room. Celebrate the joy of the season with the MADL Thursday Night Music Club’s traditional holiday concert. This year’s performance features the West Michigan Symphony Children’s Choir, a high-quality choral group for children ages 8 – 11. This free concert starts at 7:00pm. For additional information, contact Alison Purgiel, branch manager, at 231-780-8844 or apurgiel@madl.org . Friday through Sunday, December 9 – 11 from 6:00-9:00pm, come to the Central Youth Center for “Follow the Star”, a live Nativity Outdoor Presentation, featuring live actors and animals! Tours to “Bethlehem” will depart every twenty minutes. 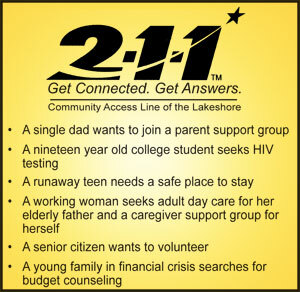 For more information, call 231-777-3938 or visit www.cagmuskegon.org. Saturday, December 10th – Gingerbread House Baking and Decoration with Chef Char – Let’s build a house together! Learn the secrets to making and baking successful gingerbread cookies. Using the best recipe for Royal Icing, learn to make the walls stand tall and a roof that won’t fall. Decorate your house with assorted candies and your imagination for a fun holiday display to take home. Kids, Teens & Adults are welcome to join this class. Cost is $35. Visit Santa Claus and enjoy a delicious and free pancake meal at Breakfast with Santa on Saturday, December 10 at the Whitehall United Methodist Church. The breakfast event will be held 9:00am to 11:00am. Bring the children in for pancakes with sausage and a visit with Santa. The Whitehall High School choir will be singing Christmas carols. For more information, call 231-329-3056. Santa will make is annual visit to Hot Rod Harley-Davidson on Saturday, December 10 from 11:00am-2:00pm! There is no charge to visit with Santa. Bring your own camera to take pictures. Post your pics on the Hot Rod Facebook page and the photo that gets the most likes will win a $100 Hot Rod gift certificate. For more information, call 231-722-0000. December 10 at 1:30pm, come to the Norton Shores Library for “From Page to Screen: Nobody’s Fool!” Is the book always better than the movie? If you love to read and watch movies, combine your passion for both! December’s book is Nobody’s Fool by Richard Russo, the story of Sully, the unluckiest man in an unlucky town. He’s broke, out of a job, and the owner of a dead pickup truck. The good news? Sully has the dumbest man in North Bath as his devoted friend, a forgiving eighty-year-old landlady who converses with her late husband, a spastic Doberman as a watchdog, and the finest one-legged drunken lawyer this side of Albany. Now, if Sully could only banish his father’s grinning ghost and earn his own son’s respect, he might just turn the whole darn thing around. The movie was released in 1994, directed by Robert Benton and starred Paul Newman, Bruce Willis and Jessica Tandy. There will be an an informal discussion of both formats, plus popcorn. Copies of the book are available at the Library while supplies last. This program is free and open to the public ages 18 and up. For additional information, contact Alison Purgiel, branch manager, at 231-780-8844 or apurgiel@madl.org . Saturday, December 10 at 7:00pm, come to the Frauenthal Center for “Melvin Elijah Presents: A Spectacular Tribute to Motown Live!” This high energy production show captivates audiences from its opening act to its exhilarating finale! At a very young age, Melvin Elijah was inspired by some of the most phenomenal singers in the entertainment industry: Donny Hathaway, Stevie Wonder and Eddie Kendrick’s to name a few. Melvin has performed for the past ten years in production shows as a tribute act featuring The Temptations and produced a tribute act for The Four Tops. As a tribute act, Melvin has been featured as a headliner for Costa, Diamond Princess, and Norwegian Cruise lines. He has also made special appearances on Good Morning Arizona, 12 News, NASCAR and the Phoenix Suns Half Time Show. Melvin’s most notable accomplishments are opening acts for some of the most legendary artist of all times; James Brown, Natalie Cole, Roy Ayers, Bobby Blue Bland and the one and only Whispers. Melvin’s electrifying vocal skills, dynamic stage presence and production skills, captivates audiences of all joinder of music from R&B, Pop, Rock, Jazz and Contemporary listeners. Tickets are $30, or $50 for VIP tickets which include a meet and greet with cocktails and hors d’oeuvres. Doors Open at 6:15pm. For more information, call 231-722-9750. The 5th annual Howl n’ Blues Concert Series for this winter is titled “HOT BLUES”! December 11, enjoy R & B, soul, funk and blues from the Sam Cockrell Band from Chicago, a smokin’ hot six piece band featuring trumpet, sax, drums, guitar, piano and bass and singer/bass player, Sam Cockrell! Concerts take place at the Watermark 920 the second Sunday of each month from 2:00-5:00pm to raise awareness and donations for the PoundBuddies animal shelter. There’ll be a cash bar, food, 50/50 raffles, dancing, and good times…guaranteed! Tickets are only $15 and include a raffle ticket. For more information find “Howl n’ Blues” on Facebook. This entry was posted in Calendar of Events on December 7, 2016 by editor. (Muskegon, Michigan) – The Harbor Hospice Board of Directors have announced that Lisa McMichael will be the new Executive Director of Harbor Hospice, succeeding Mary Anne Gorman, who is retiring after a 32 year- tenure with Harbor Hospice. McMichael has begun her new role effective November 14, 2016. 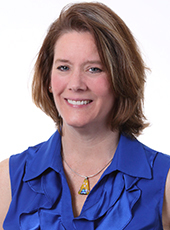 Lisa McMichael has more than 20 years of healthcare management and administration experience. She most recently served as the Executive Director of Marywood Health Corporation, a Grand Rapids short- term rehabilitation and assisted living facility, and a ministry of the Dominican Sisters of Grand Rapids in partnership with Porter Hills. In her previous roles, she was the Administrator for Metron Integrated Health Systems, Inc. and the Executive Director for Atrium Center, LLC. ; both skilled nursing facilities. She possesses a MBA from Cornerstone University and a Bachelor’s Degree in Health Care Administration from Sienna Heights University. Her background in occupational therapy has been coupled with a strong interest in elder care focusing on sustaining and maintaining residents’ quality of life while aging in place. Harbor Hospice is a community based, nonprofit hospice organization that served its first patient in 1983. Serving a 5-county area in west Michigan, its administrative offices and 14-bed hospice residence are located in Muskegon, Michigan. Governed by a community board of directors, Harbor Hospice employs 90 staff providing hospice care to patients at home, in facilities and in the Poppen Hospice Residence. Eighty-eight active, trained volunteers provide patient support such as respite care and errands; grief and spiritual care; fundraising, community education and advocacy. In 2015, Harbor Hospice served 798 patients providing 32,000 days of patient care. This entry was posted in News Releases on December 7, 2016 by editor. LANSING, Mich. – Secretary of State Ruth Johnson today announced that a six-year employee of the Michigan Department of State was charged with 11 felonies, including identity theft. The charges come after Johnson’s Office of Investigative Services learned that an employee was alleged to have assisted a customer in obtaining a driver’s license in someone else’s name. The investigation was referred to the Michigan State Police who built a case and worked with the Wayne County Prosecutor’s Office to bring charges. A probable cause hearing is scheduled for Nov. 17 with a preliminary exam scheduled for Nov. 22. Bond was set at $5,000. Since 2011, Johnson has made consumer protection a top priority, launching the Office of Investigative Services in 2014 to inspect and regulate automotive-related businesses, and investigate potential fraud involving Department of State programs. Just last week, one of its investigations led to charges against a salvage vehicle inspector accused of pocketing $170,100 in vehicle fees and forging documentation needed to qualify a vehicle for a Michigan rebuilt salvage title. The office has heightened the department’s protection of the public with the closing of 30 unlicensed or shady repair facilities and 18 dishonest car dealers. In addition, cooperative efforts between OIS and Michigan law enforcement over the past 10 months have led to 113 investigations being turned over to law enforcement for criminal review and potential prosecution. 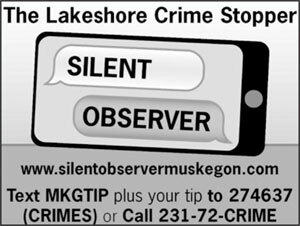 Residents may contact the OIS to report suspected fraud involving the Michigan Department of State at 517-335-0991. This entry was posted in News Releases on December 6, 2016 by editor. No matter how still we stand, or if we’re in Scotland, Malaysia, or the United States, we are always spinning. Our Earth spins at a constant, very fast speed as we make a trip around the sun. But it’s not just the Earth that spins, said my friend Guy Worthey, an astronomy professor at Washington State University. The moon, the sun, and almost all the other planets spin, too. Your question actually has a lot to do with our early solar system. Scientists think the solar system started out as a kind of giant pancake, Worthey said. Not like a pancake you’d eat for breakfast, of course. It was more like a giant pancake-shaped cloud of gas and dust. The pancake was a unit, with all parts of it spinning in the same direction, Worthey explained. The length of a year, 365.24219 days, which is how long it takes the earth to travel in a huge circle around the sun, is not changing very much. The length of a year is different depending on how a planet orbits in a huge circle around the sun. Our Earth spins around on its axis, a kind of imaginary pole that runs through the planet from north to south. The Earth spins all the way around its pole to make one complete turn each day, or 24 hours. But if you were to visit Venus, one day would last as long as 243 Earth days. Venus spins much slower than Earth. Scientists think that an object might have hit Venus and knocked it around a bit after the solar system formed, slowing its rotation. Uranus is another planet that spins in its own unique way. It’s got an unusual tilt that makes it spin on its side. Our Earth also has a tilt. As it spins, it doesn’t sit upright on its axis. The imaginary pole that runs through the middle sits at an angle of 23.5 degrees compared to solar system north. This tilt makes it so that some parts of the planet get different seasons. It’s exciting to know curious cats from all around our world are stopping to wonder about our Earth’s spin. Now, let me spin a question back to you. No matter how still we stand, we are spinning. But perhaps you’ve noticed you aren’t getting dizzy or flying off the planet. Why might that be? Send me your thoughts at Dr.Universe@wsu.edu. Ask Dr. Universe is a science-education project from Washington State University. Submit your own question at http://askDrUniverse.wsu.edu. This entry was posted in Dr. Universe on December 3, 2016 by editor. Meet the New Mercy Health Seaway Run/Lake Michigan Half Marathon Race Director! MUSKEGON — The Mercy Health Seaway Run/Lake Michigan Half Marathon, one of Michigan’s most scenic and most popular runs, has a new Race Director for 2017! Andrew Buikema will be replacing Joe Doyle, who has resigned after helping to grow the event over the past four years. Buikema has been a volunteer and a participant with the Mercy Health Seaway Run/Lake Michigan Half Marathon for several years. He speaks proudly of his wife and two children also being involved in the running community – all are enthusiastic runners. Buikema has completed 20 half marathons and 5 marathons to date, serving as a pacer in the 5/3 River Bank Run, Rivertown Half Marathon, Chicago Spring Half Marathon and Grand Rapids Full and Half Marathons. He has coordinated the pacers for the Charleviox Half/Full Marathon and Rivertown Half Marathon, and will be working with Gazelle Sports to coordinate pacers for the 5/3 Riverbank Run in 2017. With courses that take advantage of the beautiful shorelines of Lake Michigan and Muskegon Lake, the Mercy Health Seaway Run has been a favorite of runners from across Michigan and beyond for over three decades. By creating a fun, family-friendly atmosphere, the Mercy Health Seaway Run celebrates healthy living and a healthy community with events for all ages and abilities, with thousands of participants running and walking! The Lake Michigan Half Marathon is now an established part of the event, with a unique name for this course that showcases our beautiful Lake Michigan. Participants in all events will be able to register online quickly and easily at www.seawayrun.com/register. Watch for online registration to open on November 28 with a special Cyber Monday deal! Proceeds from the event benefit the 1 in 21 Healthy Muskegon County initiative and Muskegon Family YMCA healthy community programs. Connect with the event on Facebook at Facebook.com/SeawayRun and on Twitter @seawayrun. Mercy Health is a regional multi-campus health care system serving West Michigan and the lakeshore with five hospital campuses, more than 60 physician offices, more than 1,300 medical staff physicians, more than 800 hospital beds and 7,200 colleagues, and hospice, home health and long-term care service offerings. Mercy Health Physician Partners, our multi-specialty physician network, employs more than 500 physicians and advanced practice professionals in Grand Rapids, Muskegon, Holland and the lakeshore. Mercy Health, part of Trinity Health – the nation’s second-largest Catholic Health System – is committed to being a trusted health partner for life, transforming the communities we serve, by providing high-quality care that is the most accessible, compassionate and personalized in West Michigan. Visit us at MercyHealth.com, Facebook, Twitter at @MercyHealthWM and LinkedIn. This entry was posted in News Releases on December 2, 2016 by editor. This entry was posted in Fruitport Township on December 1, 2016 by editor.